“The biological availability of aluminium or the ease with which aluminium reacts with human biochemistry means that aluminium in the body is unlikely to be benign, though it may appear as such due to the inherent robustness of human physiology. The question is raised as to ‘how do you know if you are suffering from chronic aluminium toxicity?’ How do we know that Alzheimer’s disease is not the manifestation of chronic aluminium toxicity in humans? 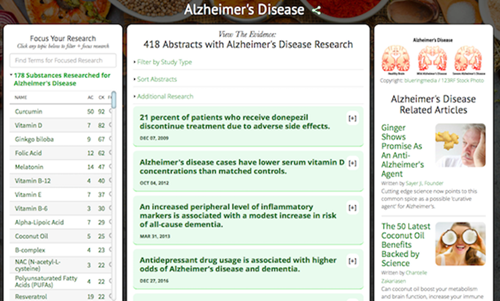 In 2014, the link between Alzheimer’s disease and aluminum was largely unproven, but since then a lot has changed. For many years, scientists have claimed that a link between aluminum and Alzheimer’s disease has existed. However, up until now, there has been little evidence to support their claims, which has left the scientific community confused. However, according to scientists from Keele University in Staffordshire, recent studies have now confirmed that aluminum does play a role, in some, if not all, cases of Alzheimer’s disease. His most recent study, published by the Journal of Trace Elements in Medicine and Biology in December 2016, titled: Aluminium in brain tissue in familial Alzheimer’s disease, is one of the many studies that he and his team have conducted on the subject of aluminum over the years. However, this study in particular is believed to be of significant value, because it is the first time that scientists have measured the level of aluminum in the brain tissue of individuals diagnosed with familial Alzheimer’s disease. According to their paper, the concentrations of aluminum found in brain tissue donated by individuals who died with a diagnosis of familial AD, was the highest level ever measured in human brain tissue. “We now show that some of the highest levels of aluminium ever measured in human brain tissue are found in individuals who have died with a diagnosis of familial Alzheimer’s disease. 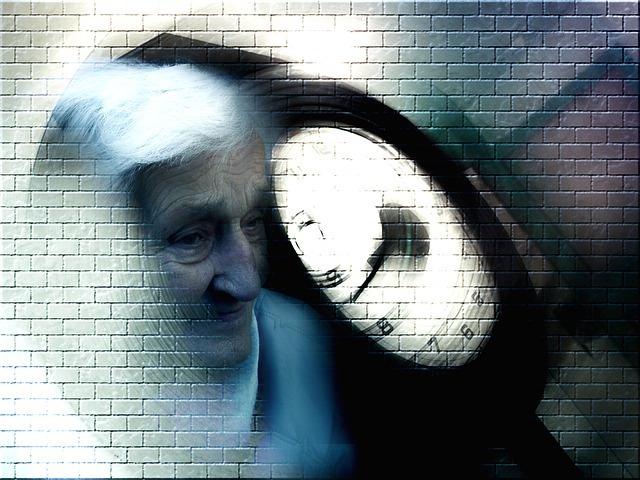 “Familial Alzheimer’s disease is an early-onset form of the disease with first symptoms occurring as early as 30 or 40 years of age. It is extremely rare, perhaps 2-3% of all cases of Alzheimer’s disease. Its bases are genetic mutations associated with a protein called amyloid-beta, a protein which has been heavily linked with the cause of all forms of Alzheimer’s disease. What Do Their Findings Mean? “This new research may suggest that these genetic predispositions to early onset Alzheimer’s disease are linked in some way to the accumulation of aluminium (through ‘normal’ everyday human exposure) in brain tissue. Ageing is the main risk factor for Alzheimer’s disease and aluminium accumulates in human brain tissue with ageing. Environmental or occupational exposure to aluminium results in higher levels of aluminium in human brain tissue and an early onset form of sporadic Alzheimer’s disease. The genetic predispositions which are used to define familial or early-onset Alzheimer’s disease also predispose individuals to higher levels of brain aluminium at a much younger age. This is extremely worrying for any pregnant women who have a family history of Alzheimer’s disease, especially if they are considering being vaccinated during pregnancy. 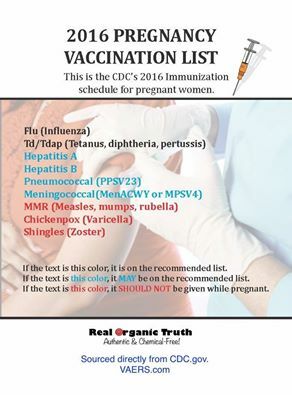 Out of the nine vaccinations covering 13 diseases that are currently being offered to pregnant women, five contain aluminum, which could potentially put the baby at greater risk. See Nurse Vaccinated During Pregnancy with Flu Shot Accused of Shaken Baby Syndrome for details. If babies are being exposed to an unusually high level of aluminum from the moment that they are conceived, then surely, they could face greater risk of neurological disease later in life. The mere fact that scientists have discovered exceptionally high levels of aluminum in the brain tissue of individuals who have died with a diagnosis of familial Alzheimer’s disease, should, if nothing else, alert parents to the dangers of aluminum. However, it appears this is not the case, as according to one researcher, despite the fact that aluminum is a known neurotoxin, infants and young children are being repeatedly vaccinated with vaccinations containing aluminum during critical periods of brain development. In his recent paper titled, Aluminum in Childhood Vaccines Is Unsafe, Neil Z. Miller explained that not only are babies being bombarded with vaccinations containing aluminum in the womb, but recent changes to the vaccine schedule have resulted in babies receiving a substantial rise in the number of vaccinations containing aluminum at an earlier age. In other words, today’s children now receive an extra 1000 micrograms of aluminum in their childhood vaccinations in the first 18 months of life. This increase, plus the aluminum they have already received in utero, has the potential to lead to a lifetime of health problems. Miller explained that there are more and more vaccinations containing aluminum being added to the vaccine schedule, which can lead to multiple health problems. To demonstrate just how dangerous aluminum can be once it is injected into the body, Miller detailed study after study outlining the serious effects that this neurotoxin can have on the body. Safe alternatives may be needed, but with more and more vaccinations being made mandatory, parents feel as if they have little choice but to play Russian roulette with their children’s lives. As a solution, Professor Exley has suggested that we aim to reduce the accumulation of aluminum in our brains through everyday activities. One of the ways that Professor Exley has suggested to help reduce the accumulation of aluminum in the body is by drinking a silicon-rich mineral water. According to Exley, silicon protects the body against the toxicity of aluminum, and by drinking a silicon-rich mineral water, his studies have revealed that the aluminum is removed from the human body through the excretion of urine. Readers will find more information on the dangers of aluminum and the research carried out by Professor Christopher Exley listed on the Children’s Medical Safety Research Institute (CMSRI) website. About the Author: Christina England was born and educated in London, U.K. She received an A Level in Psychology and a BTEC in Learning Disabilities. She has spent many years researching vaccines and adverse reactions. She has an HND in journalism and media and is currently writing for the American Chronicle, Green Med Info, The Liberty Beacon, the Weekly Blitz and Vaccination Truth on immunization safety and efficacy. Christina England has been a journalist since 2008. Her main areas of expertise are researching false accusations of child abuse and adverse reactions to vaccines. She has co-authored two books – Shaken Baby Syndrome or Vaccine Induced Encephalitis – Are Parents Being Falsely Accused? with Dr. Harold Buttram and Vaccination Policy and the UK Government: The Untold Truth with Lucija Tomljenovic PhD, which are sold on Amazon. Disclaimer: This article is not intended to provide medical advice, diagnosis or treatment. Views expressed here do not necessarily reflect those of TLB or its staff.